They have four cylinder presses of various makes and models. Here is a Vandercook SP15 tucked between a Korrex Berlin on the right and I believe a FAG Swiss Proof press on the left. They have small Adana platen presses for beginners and this Autovic for very experienced members. 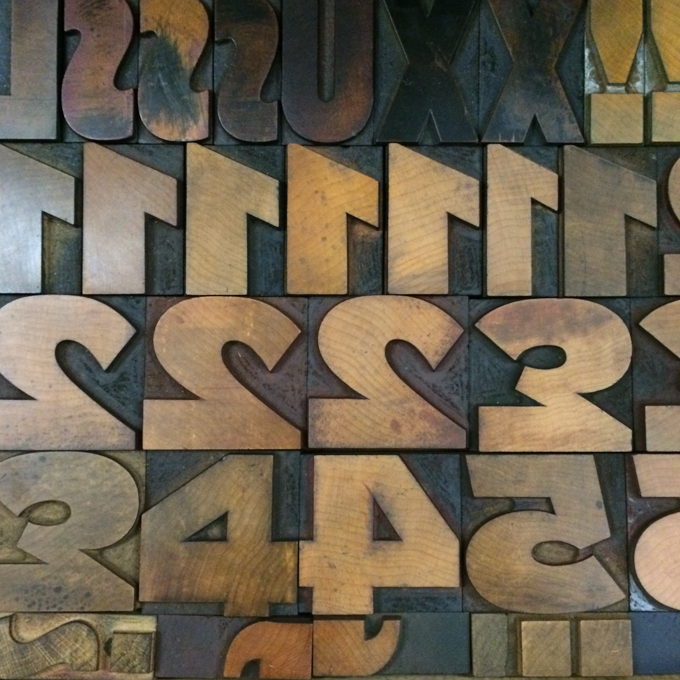 The type is stored in several banks of type cabinets including this beauty from Caslon. LCBA has several machines for foil blocking (that's foil stamping for you yankees) including a very large JTM Series machine. including a nice collection of Esme Winter decorative paper. Thank you Simon for your hospitality! If you're lucky to be near London Centre for Book Arts you should be all means take an LCBA workshop, and for those of us further afield we can vicariously watch the happenings via their colorful social media feeds. 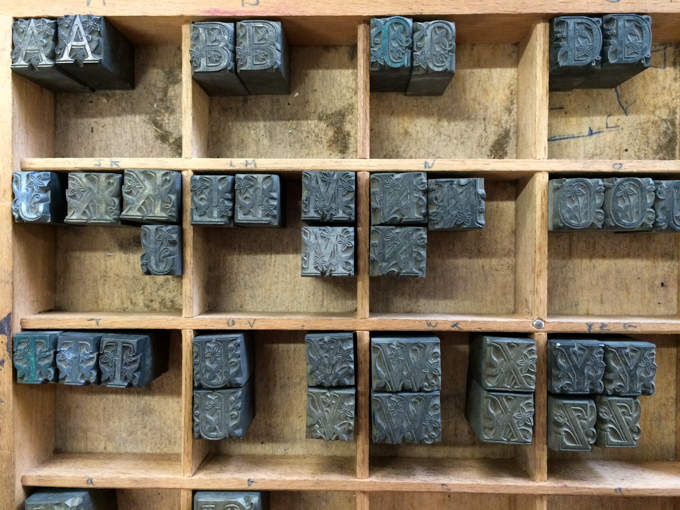 Follow them on Instagram at @londonbookarts, Twitter at @londonbookarts, and FaceBook at /londonbookarts. If you go, make time to explore the neighborhood. Located in east London's Fish Island the neighborhood is filled with old industrial buildings, canals that were (and are still sometimes) used for commercial waterways, and emerging artist studios. Scenes of old brick buildings, ghost signage, and street art will be a treat, with glimpses of Queen Elizabeth Olympic Park built for the London 2012 Olympics.